Specifically the various DVD and VHS covers that have graced these movies in the past. This will include mostly officially licensed advertising posters and art created by artists after the films were released. Let’s start at the beginning with the first movie. Released in 1981 The Evil Dead had a young Bruce Campbell playing Ashley Williams who (with his friends in tow), does a pretty terrible job of getting rid of the Deadite menace they unwittingly manage to unleash. Still he survived and so too did the film. The controversy this movie caused in the UK alone during the Video Nasties scare makes many native Brits remember it fondly. It is probably not so fondly remembered by the video stores that held it on their shelves and were fined and even jailed for owning it when it was deemed unsuitable for adult consumption. Though the content of the movie had censors ripping their hair out, the awesome cover art certainly did not help matters. Graham Humphreys is the artist responsible for the VHS cover art and his visions of horror graced many a VHS cover in the 1980s and ’90s. Many of his prints are available to buy today, as well as this new book covering his artistic work in cinema. Below is a gallery of this infamous cover (as well as his Evil Dead 2 cover art) and a few others from the VHS era, which may be of interest to horror and art fans alike. Other markets sold the film differently, and in most cases going for a more traditional photo cover. There are some fun variations on the same theme however, especially with the DVD market and the re-releases from various companies like Anchor Bay. The blood splattered Ash is the most intense looking cover, but fans will probably recognize the body rising from the grave image. The one not so well seen one is the poster of Ash casually standing with his shotgun. The artwork for Evil Dead 2 was more restrained in comparison to its aforementioned counterpart. The UK VHS cover featured some great artwork, though most countries VHS displays favored the starring skull image, which is shown in one of the films trailers. The skull is quite a striking visual though and it is used to great effect in marketing the movie, though it does not seem to show up in the movie at all! This expanded out into the DVD releases, with the skull image showing up a lot more than Graham’s painted cover. As always there was the colorful foreign releases, using images of the film in a unique style, though none of the marketing makes mention of the second film actually being a remake of the first, rather than an actual sequel. This leads us to Evil Dead 3: Army of Darkness. Army of Darkness had two very different endings depending on which version of the film you bought. So it seems quite apt that it would have two very distinct and equally fun covers. 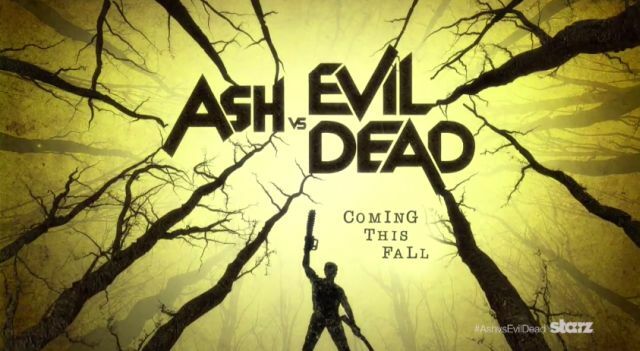 The alternative ending cover for the DVD had Ash looking up to the sky, while the other release had Ash in a classic hero pose, chainsaw and all. Both covers look amazing. VHS was on its way out at this time, but if you were lucky enough to buy the rental version of this movie, you got both of these pieces of art on a reversal cover. Like before, a lot of variations on these two themes came out of the foreign market and can be seen below. Lastly, we have the new universe Evil Dead movie, focusing on new characters and a more self-mutilating variant of the Deadite threat. The variation of covers had slowed down rapidly here, so most of the advertising of this movie followed the dark red and yellow color scheme, which was fitting for the films darker tone. Before we leave the movies behind take a look at these special edition releases from Anchor Bay for the movies which included a Necronomicon styled cover. Highly collectible and amazing to look at! There are some really inspired fan made variants that have come out over the last few years too. It is great to see a franchise so beloved by fans that they have taken to Photoshop and their art pads to create some great covers for the films. Empire online even had a competition to get fans to create their own version of the latest Evil Dead movie (some of which are included in this collection below). Finally, some of my all-time favorites, the bootleg style foreign release covers. These come from all over, Indonesia and South Africa are two I could identify. They have their own very interesting, and sometimes horrific take on the movies which will either leave you gob smacked or extremely offended! Below are a few of these variants. If you see your work here uncredited please contact Grizzly Bomb so we can give you the credit you deserve! Keep checking Grizzly Bomb as we take a look at some of the poster art associated with The Evil Dead created by some of the great artists out there (as well as computer game and show art) in the next few weeks. Images: New Line Cinema, Rosebud Releasing, Universal Pictures, MGM, TriStar Pictures, Graham Humphreys, Palace Premiere, CBS Fox, Vestron Video, Medusa Home Video, Anchor Bay, HBO Cannon, Congress Video, URV Home Video, 4 Video, Studio Canal, Fox Video, Lumpster, Adman 30, Jester Diablo, Kyle Rich, Fede Alvarez, JP Flexner, Deviant Art artists.